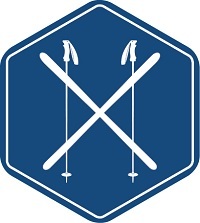 Due to frigid weekend temperatures the Ontario Cup 111 Ski Race hosted by Walden Cross Country in Naughton had to be cancelled. 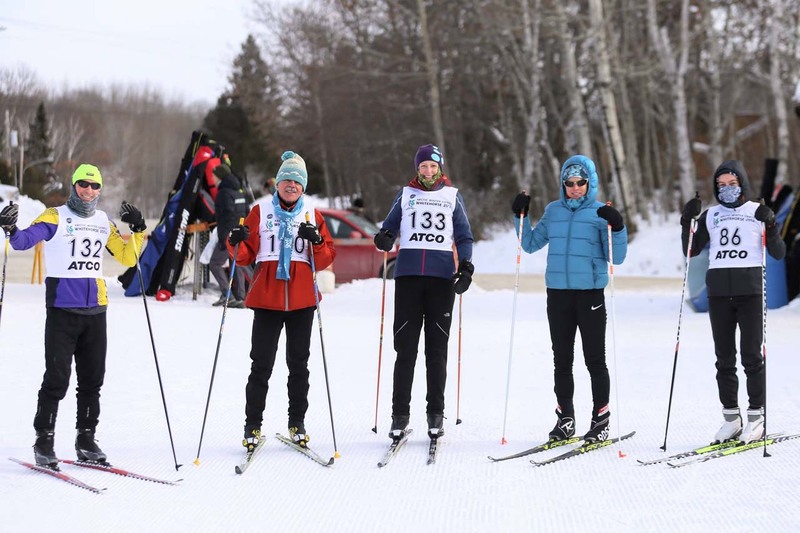 Temperatures over the weekend did not reach -20 deg which would have allowed the races to continue. Of coursed that did not deter the above group from going out and fully embracing the day. Good going all. 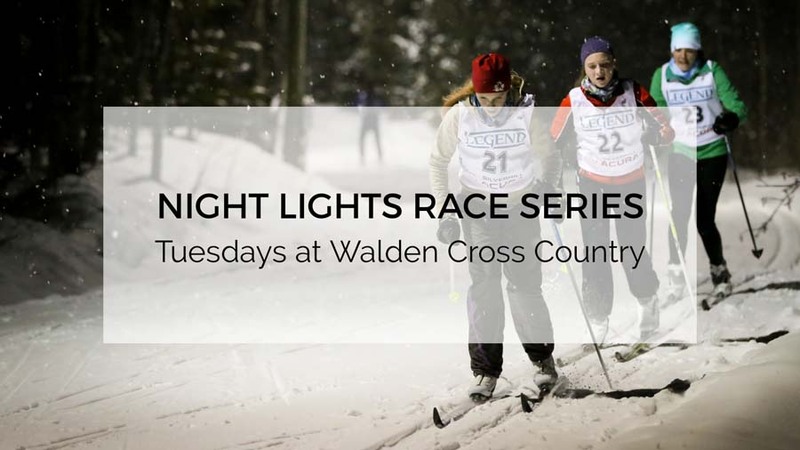 The first event of the Night Lights Series was held on Tuesday January 22. Thanks to everyone who made race 1 of our Night Light Race Series a huge success! We had 66 athletes out racing fast! The host of Metro Morning on CBC, Matt Galloway, 48, is a father of two with an outsized influence on Toronto. His decency and moral compass seem to act as a barometer for how the issues of the day should be framed. In that sense, he’s a lot like Mark Sutcliffe in Ottawa and perhaps John Stanton when it comes to our sport. It’s important to know who the good guys are. Galloway says he finds peace, at least in part, in his running shoes. iRun: You wake up at 3 a.m. for work. Why’s it important that you make time to run? Galloway: Much of my life is being “on,” whether it’s on the radio or with my kids, you need to be engaged. Also I’m plugged in a lot. I have phones, watches and things that buzz and the time when I run is when I carve all of that out and have solitary time. That’s why I make time to run. iRun: Funny how working out can bring inner peace. Galloway: It’s like meditation. It’s the time when I’m just not working. And there are things that come up during work when I’m running and the brain empties itself out and you solve the big problems that you couldn’t solve when you were supposed to be solving them, but for me, running is the time to be out and be aware. These days, I’m running a lot without listening to anything and I explore the city and get lost. It’s a way for me to be selfish. iRun: That’s funny, because runners are always being applauded for, in essence, spending loads of time on themselves. Galloway: Being selfish isn’t something I can or should do during the rest of my life. Family takes up a lot of my time, work—those things are supposed to—but running is this one thing for me. iRun: Do you want to race, get faster, improve? Galloway: I’ve run races and it’s fun. There’s energy that comes from that and that’s different than being by yourself. There’s also an energy that comes from focusing on a specific goal. But right now I don’t feel compelled to compete. I’m aware of my pace and distance. But I don’t need the competition part of it. I just need to be out running. iRun: Will you run on the treadmill during the winterttime? Galloway: I don’t have a treadmill and I don’t go to a gym. I’ll run in snow and rain and ice and anything like that. A few years ago I ran every day for a year and it showed me there’s always places you can run. Cemeteries, for example. iRun: I love the story of how you became a runner, because it wasn’t that you ran in school. Galloway: I was standing on the side of a road and watching a marathon in the pouring rain and people were electrified by what they were doing and I thought, What don’t I get? It’s awful out, and these people are having the best time. I needed to find a way to experience that, and I did. iRun: So from a non-runner to a runner every day for a year. What changed? Galloway: I bought some shoes, ran down the road and then I ran further down the road. Ran a couple of loops in the park and thought, this is really hard. But a few months into it, you feel a little better, and then a few months after that you feel a lot better and then I ran a 5K, then a couple of 10Ks, and then I just kind of got it. I started running a lot. iRun: What has running taught you? Galloway: Discipline, and how strong you can become, how fit. How you can go anywhere and how all you need is your shoes and away you go. It changed my life. iRun: And it’s been something you’ve stuck with? Galloway: I now run five or six days a week. It’s just part of my life and now it feels like my body needs it everyday. iRun: That need you’re describing, it’s not just endorphins, but sounds like maybe something deeper, more complex. Galloway: It gave me something that I didn’t know I needed. Which is that outlet, or that sense of feeling fit. But a different kind of fitness, there’s the ability to get out and explore that I didn’t have otherwise. Turns out I needed that in my life and I didn’t know that I needed it, but the news is relentless and a lot of it feels bad, and you need an outlet. People do different things and for me it’s lacing up and just disappearing into the city or wherever I happen to be. iRun: What’s it mean to you as a father, as an example for your girls? Galloway: I like showing my kids that being physically fit can be part of your life and that you go for a run and come back and have a glow, but I also like the idea of rigour. It’s easy to lay on the couch, but whether it’s this or something else, I want them to have a sense of commitment. And deciding you’re going to do something and sticking with it. I could’ve stopped running for a day during that year—no one would’ve cared—but it would’ve ground me up and pissed me off. I want to feel like I can commit to something and I want them to, too. iRun: Where do you think you’ll be as a runner in five years? Galloway: I watch big races all the time and I would like to do the New York marathon sometime and maybe I’ll do that, but I was out on a Sunday long run and coming back home and as I got close to my house there were two older women running and they seemed like the happiest people you could imagine. Just two women happily running and cruising along and I want that. Not competitive. Just part of your life. 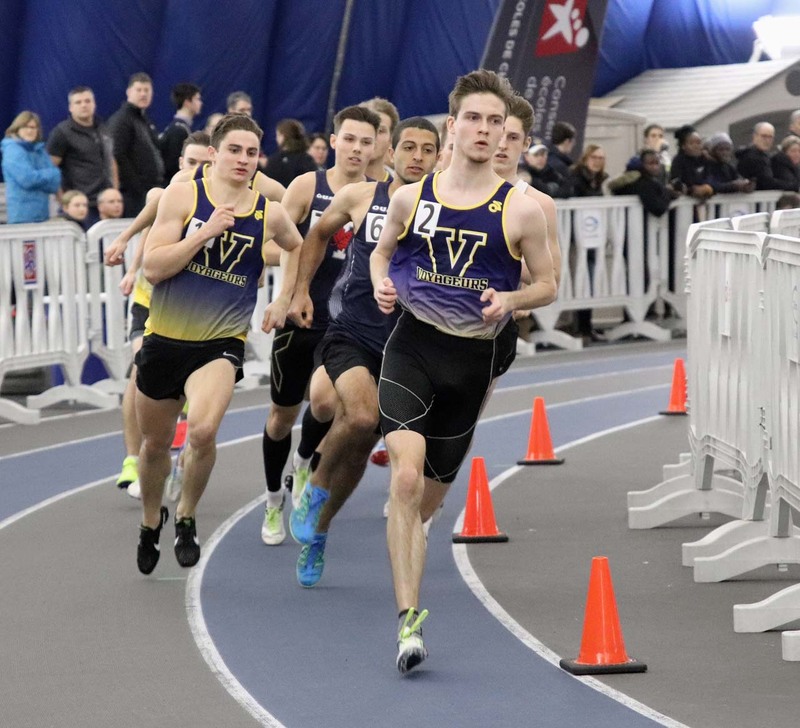 The Laurentian indoor track team competed at the Ottawa Winter National Classic Indoor Track Meet this weekend, returning with two medals, eleven OUA qualifying standards, and seven personal-best performances. Medalists included Megan Crocker who won silver in the 3000m and Liam Passi whose bronze medal was also in the 3000m. Crocker’s personal-best time of 9:53.41 time places her third on Laurentian’s all-time rankings. The meet included large fields from eight universities, including Ottawa, Queen’s, RMC, Carleton, Toronto, Sherbrooke, York, and Laurentian. Twelve track clubs were also involved. 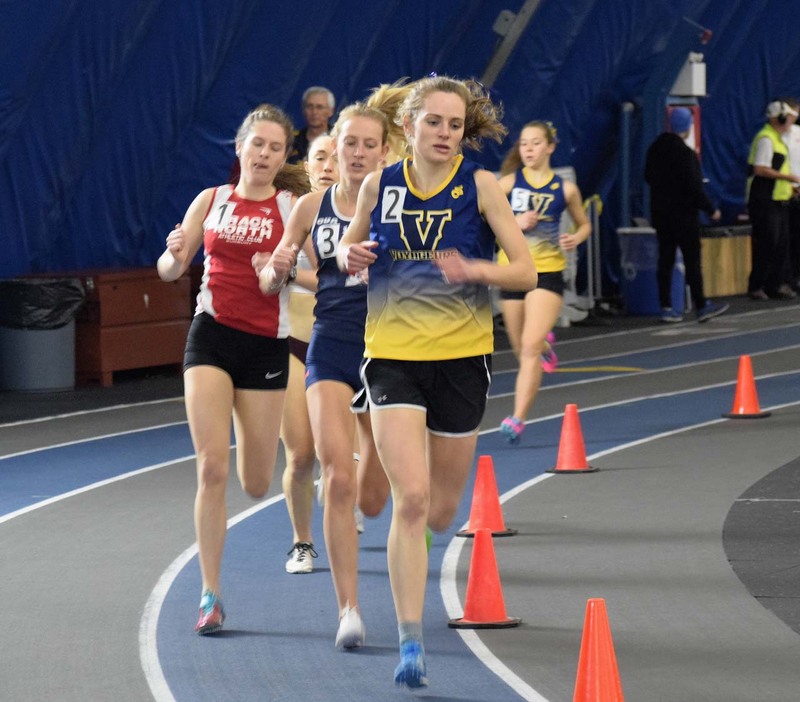 The Laurentian track team's next event is the York Open in two weeks.